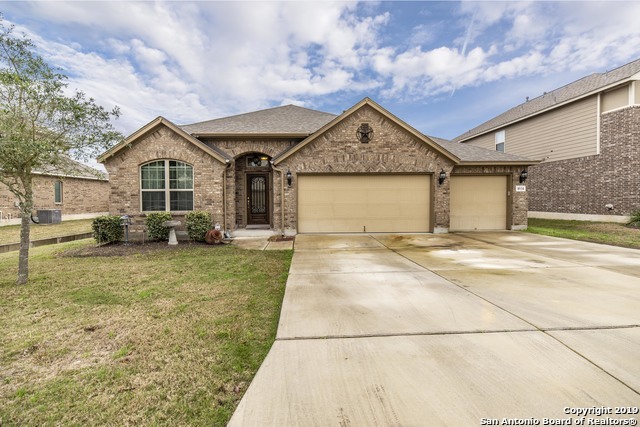 All REMUDA RANCH NORTH SUBD homes currently listed for sale in San Antonio as of 04/22/2019 are shown below. You can change the search criteria at any time by pressing the 'Change Search' button below. "Beautiful single story home boasts gourmet kitchen including granite countertops, ceramic tile backsplash, SS appliances, and custom oversized island bar. Tile flooring through out, carpet only in the bedrooms. Large private study, flex room, and media/game room space. Finally, a three car garage and manicured landscaping. This home is a must see!"